Planning a wedding requires lots of time and resources. With all of these investments, you should have plenty of pictures to document the best day of your life. Although professional photographers can take stunning, high-quality pictures, friends and family have a gift for capturing the best candid shots. If you want easy access to all of your guests’ photos, a wedding hashtag is your best tool. Read on to learn more about why a hashtag can benefit your wedding and tips for creating your perfect wedding hashtag. Whether it’s an engagement announcement, a save-the-date card, or the actual invitation, a wedding hashtag can act as a signature that allows your loved ones to show support for your future big day. The sooner you create a wedding hashtag, the more likely many of your loved ones will use it, like a catchphrase. Think of it as the initial spark. When you’ve decided on your wedding hashtag, you can easily add it to any card that you send for the upcoming event. A wedding hashtag can act as a simple way for your loved ones to share their wishes of everlasting love and a wonderful future. They can either type out the message or record an intimate video of themselves speaking. Either way, because of your wedding hashtag, all of your guests’ wishes will be kept safe in one place for you to enjoy when the time comes. After your amazing and emotional wedding, you and your significant other will be able to search your hashtag and experience the event all over again. This time, you’ll be able to enjoy it from the point of view of your many loved ones. You’ll be sure to both laugh and cry at the father-daughter dance, your uncle’s cheeks stuffed with crab cakes like a squirrel, and the collection of wishes that guests wrote for you, all using the wedding hashtag that you created. You might be asking yourself, “How do I create the perfect wedding hashtag?” Don’t worry. Here are some tips that will make the process easier for you. You could take this idea quite literally because the less complicated your hashtag is, the more people will be able to correctly remember and use it. It should be simple but effective like a Wi-Fi password. Be sure to double-check whether or not your wedding hashtag isn’t already in use. A quick search of your hashtag on social media networks will allow you to confirm its availability. Feel free to replace the names and years in the above examples with your own information. A wedding hashtag generator can also help you get started. While simplicity has its benefits, so does a clever hashtag. The world of advertising is filled with word play. Why? Because a unique phrase is both fun and memorable, just like a great wedding day. Of course, some people are more creative than others, so why not consider enlisting the help of a creative team? A social media post can go a long way if you want help coming up with wedding hashtag ideas. As the saying goes, two heads are better than one. However, with a Facebook post, you can have access to the creativity of your entire friend list. Working together can make the process less stressful and more fun and meaningful. Your loved ones are sure to appreciate being a part of the process. If you’ve got it down to a few clever or catchy hashtags, you can call upon your friends and family again to help pick the very best wedding hashtag. One nifty way of doing this is by making a Facebook poll. In addition to being memorable, the most popular hashtag is of course more likely to be used by everyone. Once you’ve found the right hashtag, it’s time to make it perfect. In other words, hashtags always look better when the first letter of each word is capitalized. It’s also important that your wedding hashtag is free of typos, so be sure to carefully look it over with your significant other. Keep in mind that hashtags won’t work with punctuation. You’ll want to remove any commas, apostrophes, quotation marks, or any other special characters so that your wedding hashtag is good to go. 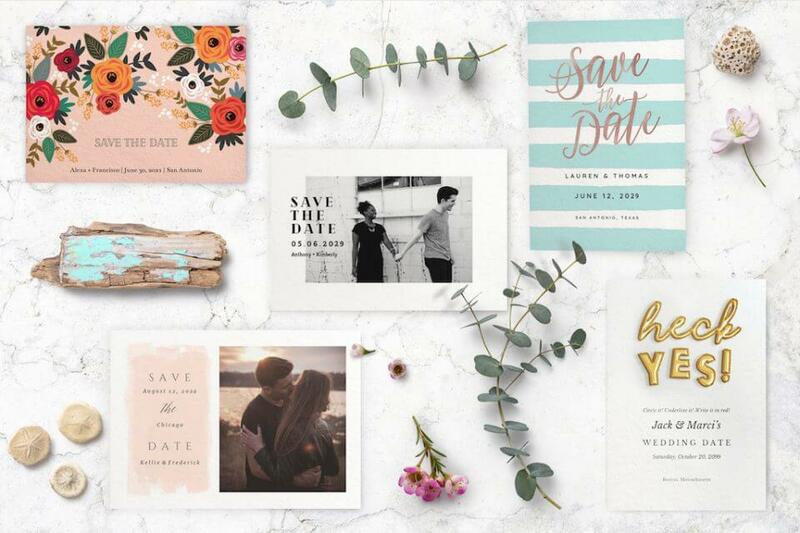 Once you have your wedding hashtag, you’ll want to add it to all the cards that will be sent for your upcoming event, including wedding announcements, save-the-date cards, RSVPs, and more. But why stop there? It’s all about spreading the word so that everyone knows about your hashtag. In addition to using it on social media and printing it on cards, you should feel free to put your love signature on everything wedding-related, such as welcome or directional signs, party favors, and windowpanes. You could even put it on napkins, wine glasses, or as part of a photo prop for your guests. The possibilities are endless! Ready to Add Your Hashtag to an Elegant Invitation? Now that you know how to make a wedding hashtag, you’re ready to start brainstorming. Once you have the perfect hashtag, don’t forget to add it to your wedding invitations. If you want to create a beautiful, custom invitation, Greetings Island has plenty of wedding invitation templates to choose from. After customizing your design, you can download as image for online sharing or PDF for print, or send it online with full event management features like RSVP, reminders and more. 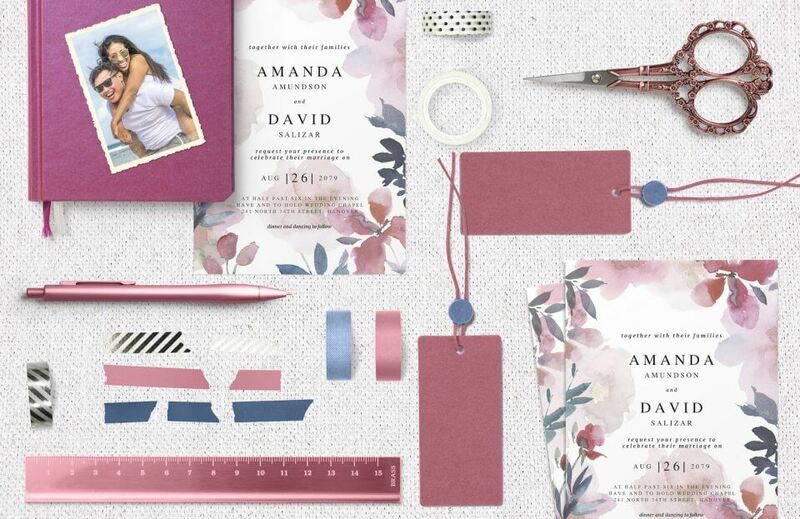 After you’ve customized your invitations so that they include your wedding hashtag, you can easily print them at home or at a professional print shop. Keeping it virtual? You also have the option of sending them through email with RSVP services or downloading them as high-quality images that are shareable on social media networks.